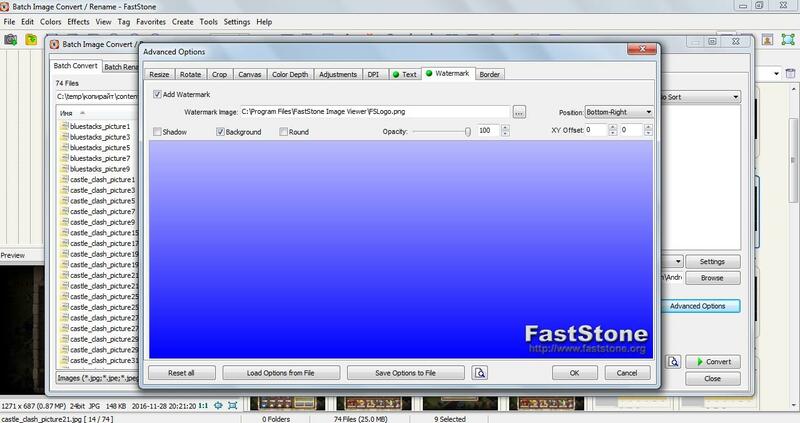 How to add a watermark on multiple photos in Faststone Image Viewer? 1. 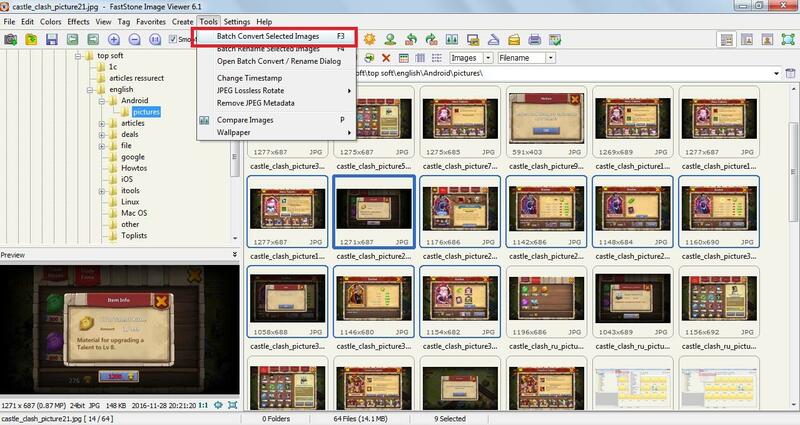 Launch the viewer, select your pictures, and click on Tools → Batch Convert Selected Images (see pic. 1). 2. 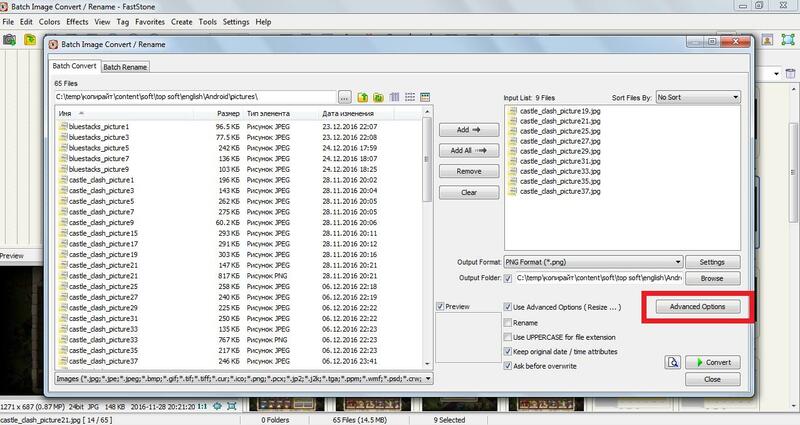 Then choose an output format, output folder, and click on Advanced options (see pic. 2). 3. Switch to Watermark tab and check Add Watermark. Adjust your logo settings and click on OK (see pic. 3). 4. Click on Convert button and check your photos. Profanity, UPPERCASE messages with blunders, just stupid and totally off-topic will be deleted.